Where can I find 3 meters long needles? A ticket for a one way trip to the pol, never to return. Ever. Ouch, Spike is never getting his checkup, I guess. It is going to cost a small fortune to repair the damages Spike has done to people and property. advantages of having a self-repairing organism: no need for a checkup. Last edited by _Stu_ on Mon Jul 02, 2012 9:09 am, edited 1 time in total. I wonder what Spike heard. I think he heard they'll take him on vaccine. But, the vets are visiting the house now? I thought they went to the vet, not the other way around. I guess it's because he translated that directly from Italian. if that's the case, it properly should be "check you" instead of "visiting you"
i thought the translation was literal there, apparently it's not like that fixed! So they planned this all along... crafty dogs, they be. Hawaii sounds very nice, especially during the summer. There is another fact we should talk about regarding Julija Tymošenko and Ukraine dictatorship. Elsewhere, let's raise our voices. Gentlemen, you have all my approval. Hurray for justified violence against animals, then! But really, if a dog tries to bite me for no reason, I WILL kick it. An aunt of mine once brought her dog to my grandmother's house (it was a family reunion). I was going out with a few cousins when I passed in front of that little ***** and out of nowhere it jumped at me trying to bite me. It would ahve succedded if my aunt weren't holding it with a leash. Needless to say. I was terrified of dogs for a while. I was bitten by a dalmatian when I was a kid about seven. I had done nothing to provoke the guy. what is a GSD. As for dogs, I finally lost me fear of dogs a few years ago with the dog those same cousins of mine adopted. It's a big labrador who is a really sweet dog. It was the first time I petted a dog so docile and friendly. I think I'll ask my cousins for a puppy of his if they decide to buy a female dog to make him so company. Sorry i didn't mean to be rude or else what i wanted to say is that stray dogs are a problem in Ukraine of course... but this is a cheap way to solve it. And cruel. And of course is only part of the problem (sort of 1/10 of the problem), what happened to Julija Tymošenko is the proof of a country governed through repression and fear. This, in 2012, makes me sad. Ah, a wonderful comic with a powerful message. Rare to see some seriousness here, but I like! Good to see any comic from you, but not so good to hear of such atrocities done to the canine population. You Sir, have my respect. You're right about german shepherds they're really cute. So vacation comics while on vacation. A bit of daydreaming maybe going on? Actually, Honolulu could be really hot. Mr and Mrs Roberts were at the bar, eating an ice cream like a new pair of sweethearts. The beach was full of people, kids and families, playing and walking all over the place under the scorching sun. Primo was trying, unsuccessfully, to relax under the umbrella's shadow. "I mean, now i REALLY need to take a swim, i was trying to sleep here but it's impossible"
"I know" Spike said, on the left side of the beach towel. "Primo, this is summer. Summer, Primo. Perhaps you two want to talk?" "C'mon, stop being sarcastic for once"
"What did you expect Primo? Summer IS hot by default, and now we're close to the equator, it's kinda normal"
"Yeah, but objective truths won't make me stop complaining, Spike"
"That's why i hate summer-- i mean, i like the beach, sun, fun fun fun and that stuff Rebecca Black love to talk about, but i'm really not the summer type... i'm the cold one"
"I already told you, i was born in January, my season is the cold one"
"Don’t say winter in front of me, there's a reason why i call that season 'the cold one'"
"It's just a season, not a name in that case! You can't erase words from the dictionary only because that specific word have somehow bullied you"
Spike did not say a word after that. Perhaps Primo had exaggerated this time. Primo sadly looked at Spike lowing his ears "Spike? Sorry, i didn't mean to..."
"It's okay Primo, really. You're right, it's just an obsession. I simply have to rip it off from my mind"
"Of course we are" Spike stood up on his feet "So, wanna swim?" Half an hour later, the two dogs went out from water, finally refreshed. The beach was emptying slowly, as it was getting late. "What time is it?" said Spike, watching for people leaving. "I don't know, and i couldn't care less" Primo was hyperactive "we'll go home when mom and dad will say it's time to leave. For now, let us do something to pass the time!" "I don't know, I’m quite tired. And i still have to complete Lollipop Chainsaw that--"
"AWWWWWW!" said Primo staring at Spike with oversweet eyes. "Okay okay! Juliet will wait, let's see... what about a sand castle?" "Yes! Let us make a HUGE one!" "Ok, I was a sand genius once, I’ll show you how a true castle has to be built!" Primo ran to get the buckets "Ok what’s next? Sand?" "Ya, wet sand. Get as many as you can, and we also need a plastic shovel... and a rake, too"
Primo made a second run to get the rest. Normally, the distance to the place where those objects were allocated would have tired anyone, But Primo was happy enough to not feel the fatigue. "Here... i got'em... now... what we have to... do now...?" Yeah, at least Primo was trying not to feel the fatigue. "Help me with the right tower" Spike was concentrating on a mental project "Make a cylinder with the sand, use the shovel to calculate the height, and place it right.... here!" Spike marked a circle on the sand with precision “This sign represent the amplitude of the tower. Be sure to comply with measures"
Primo was staring at Spike with his eyes wide open. "i'm not sure it'll be fun"
"it doesn't have to. What matters is the result" Spike's eyes were serious and full of ambition. "Trust me, you'll change your mind as you will see the complete work. It will be EPIC"
A long hour later, the castle was almost complete. Primo was starting to see what Spike meant in the first place: The two side towers were perfectly separated from the front wall, full of windows and with a huge main entrance. A modded piece of wood was forming the drawbridge. On the top of the castle, a third central tower, higher than the others. It was really beautiful actually, finally Spike's serious way to do things brought real results. "I like it!" said Primo with shiny eyes "You were right! It's great! The best sand castle of the beach!" "You doubted? C'mon, we must add the finishing touches, once the castle will have the signs of bricks and other things will be perfect"
The two dogs sat down close to the castle, being careful not to destroy it. Spike put his paw on the wall, ready to draw the first brick... but something very unexpected happened. The castle exploded in front of them. For real. 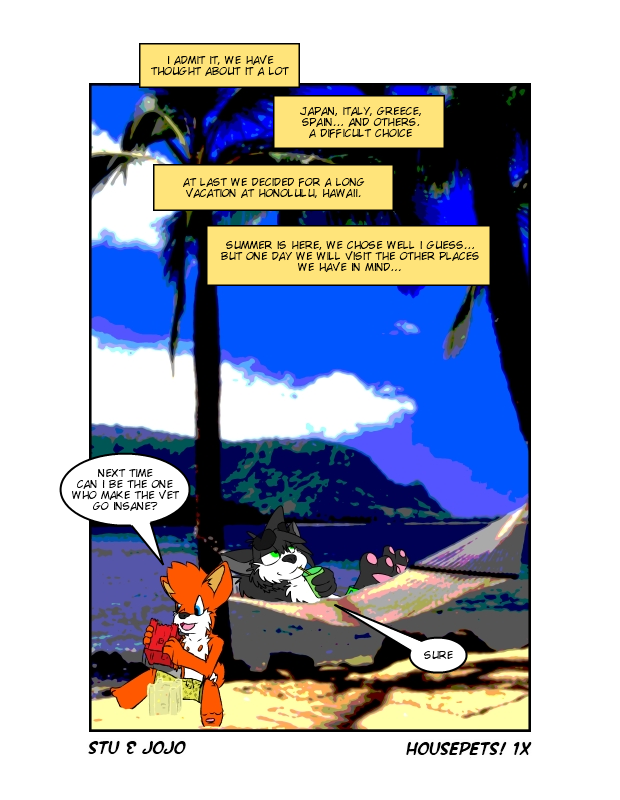 Spike and Primo's mouths, eyes and noses were full of sand, as their fur. they began to spit, trying to open their eyes to see what happened: why the castle exploded like that? It's not normal. As Spike finally managed to free his eyes from the sand, two shapes appeared. Two big cats... too big to be actual cats. And the fur on their ears was unmistakable. First time that i write something like this, i bet it's full of mistakes :/ grammar nazis all over the world, reunite! Last edited by _Stu_ on Wed Aug 01, 2012 2:53 am, edited 1 time in total. oooohh, me appreciatez this surprise! looks good. but I don't feel like noticing and correcting errors right now. and I can see the image fine. This is really good... what's a lynx? I prefer bobcats, since the name is so fun, and I live in Florida, where they are fairly common. 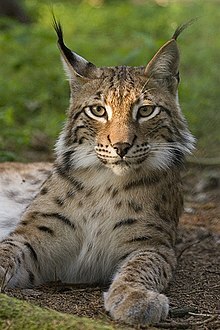 Lynx are cool though. Wonder where they came from.